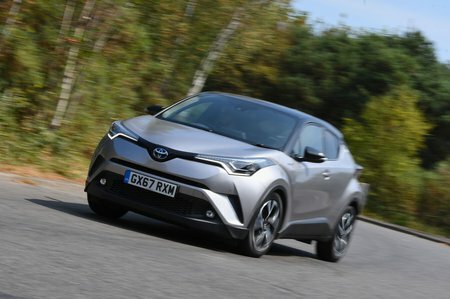 Toyota C-HR 1.8 Hybrid Design 5dr CVT [Premium] 2019 Review | What Car? Our favourite trim gets all the must-haves and more, including heated front seats, front and rear parking sensors, climate control, keyless entry and 18in alloys. The Hybrid version of the C-HR is incredibly fuel efficient; its low CO2 emissions are particularly appealing to company car drivers. Just be aware that performance is nothing to write home about, and that the 1.2 Petrol version is a sweeter thing to drive.